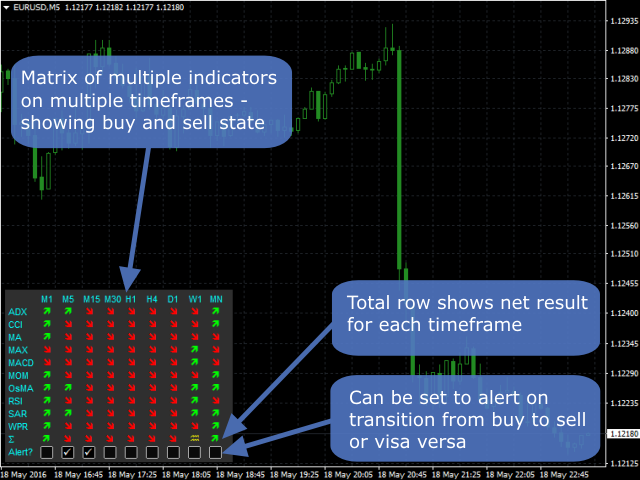 Panel + Configurable Automation converts custom indicators, like this, into an EA that can trade automatically. Very well job ! 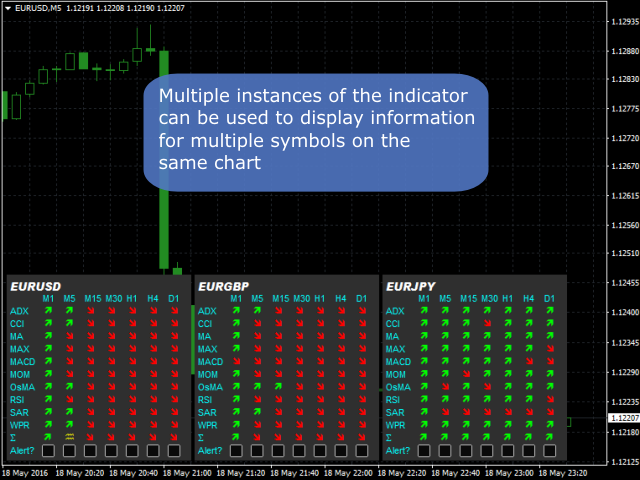 Beautiful, customizable at will, useful for those who use indicators... Even if I don't use it anymore I have no regrets for this purchase. 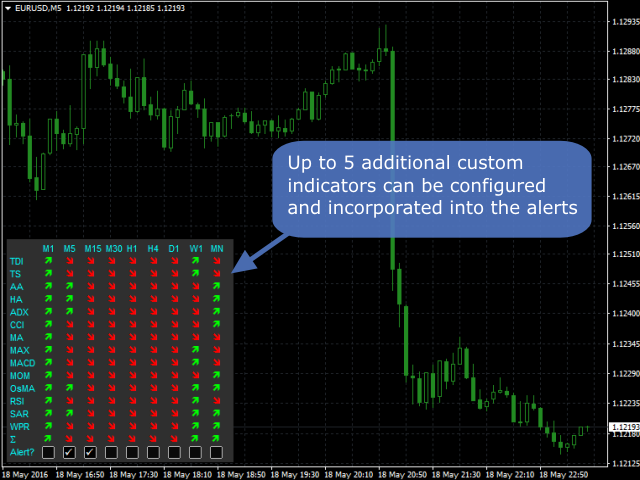 - Improved compatibility with indicators that require price to cross their value for a trade signal.